New Client Special! 20% off your first week of daily dog walking! Current Clients: Receive a $20 credit when you refer a friend for regular visits! Offered as 20, 30, and 60-minute adventures, our dog walking services are excellent for dogs who need some extra attention during the day. From breakfast to bedtime, we can visit your dog and tend to all of his food, water, and friendship needs. Learn more about our dog walking and pet sitting services! A trained, insured, bonded, and background-checked Pet Care Specialist will keep your cat happy as a clam while you are out of town. We do our very best to maintain their regular routine and provide the companionship that they miss while you're away! Learn more about our services for cats and other pets. Congratulations on your furry new addition! We're sure you're having a great time watching your puppy learn the ins and outs of being a dog. Despite the hours of entertainment that puppies offer, we understand that having a puppy is a huge adjustment. 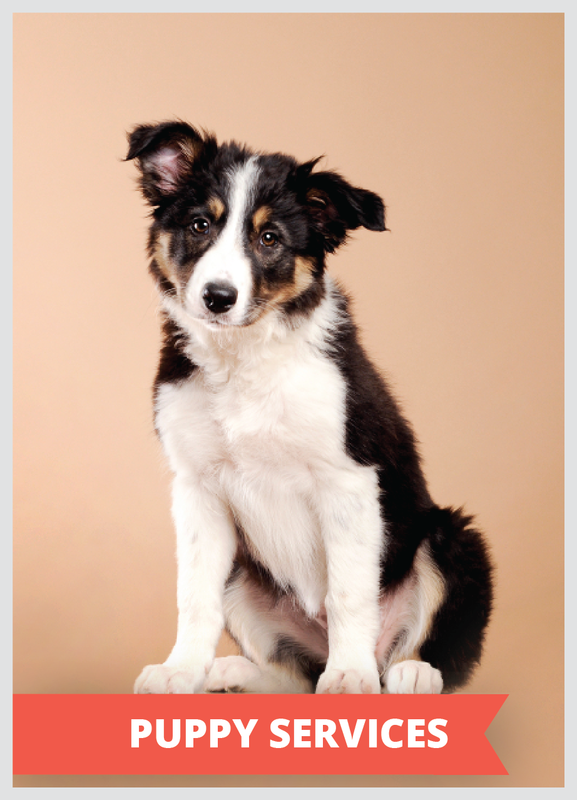 Learn more about how we can help with your puppy. We will need two copies of your house keys, one for our Pet Care Specialist's visits and one as backup to keep under lock and key in our office in case of an emergency. We are happy to return the keys to you after our scheduled visits, or we can keep them in our office so we're ready for your next visits. Have other questions about new client meetings? Contact us here! We use an innovative scheduling program called PetCheck Technology. This allows 24/7 access to scheduling and managing your pet care needs. With Pet Check, our clients also receive real-time updates as services are performed! When you sign up for your first visits, we will help you set up an account. You can also call or email us to schedule - whatever is easiest for you! If you would like to meet your Pet Care Specialist (PCS) before we schedule any visits, please let us know in advance - we can arrange to bring them to the orientation visit with us to meet you. We always assign a 'main' PCS, as well as a 'backup' pet sitter, in case your usual PCS is not available. Meet our lovely staff and read their bios at our 'Meet Our Team' page! Stay in touch with @PhilaPets!